Lemon Productions specialise in bespoke web design for small to medium businesses. We prefer to create hand-coded and designed sites in favour of off-the-peg content managed solutions and templates, allowing a superior quality of design, better search engine optimisation and not burdening the client with the job of managing content. We know how important it can be to have eye-catching advertising. 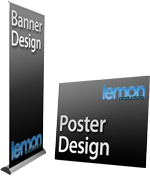 Lemon Productions are epxerienced at designing posters and banners for all sorts of products and events. We can help with putting together an advertising campaign that the public will notice and remember. We have produced all sorts of posters for products and events as well as larger banners. We can also design posters and displays for internal purposes as well as advertising to the public. Leaflets and Flyers are a vital tool to build public awareness in a company or product. Unlike a business card, a flyer can hold a lot of information about a product. A leaflet, whether it be a product specification, a pricelist or general information about a company, can be a fantastic advertising tool. Lemon Productions have put together flyers, leaflets and booklets for many clients to promote their business. We always focus on making sure the content is easy to understand, while making the document as eye-catching as possible. As always, our attention to detail and brand consistency ensures that everything we design will contribute to a strong brand. Members of the public and clients will take away a leaflet or flyer to help remember a company, product or service and with our great design, it can make an instant and long-lasting impact. A company brochure is often a big investment. 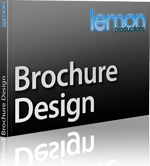 Lemon Productions have designed numerous brochures for firms as well as catalogues. We understand that communicating a product or service to clients effectively can be the difference between making or losing a sale. Our brochure design service aims to help our clients to produce a brochure that will not only be eye-catching and keep with consistent branding across all mediums, but will be informative and interesting to the public. We offer assistence with copy-writing and photo manipulation to present all products and services at their best along with great design and layouts to make the brochure easy to understand while covering all the information it might need to have. 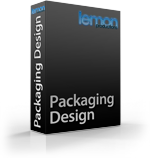 Lemon Productions have worked with companies on a variety of packaging designs. We can produce and mock-up covers for DVDs, CDs and boxes ready to go to print. We can also work on all sorts of other packaging such as vacuum bubble packs. We understand that packaging a product to ensure it leaps off the shelves at a potential buyer is extremely important in ensuring the success of the product. It is also a great opportunity to showcase a brand and with our design goals of creating rich and consistent branding, as well as our excellent copy-writing assistance, we can help to create packaging for any product that will help to make it a hit with the public. Here is a wide selection of print based design by Lemon Productions including Brochures, Leaflets, Flyers and Packaging. Click here to view. In today's digital world, even printed media is evolving and more people are now starting to read books and view documents on eReaders and tablets such as the Amazon Kinlde and Apple iPad. 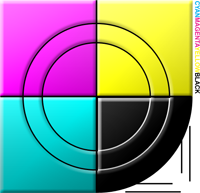 Lemon Productions see this as a new opportunity to create documents that will work in print and online and will look great no matter if they are on paper or on a screen. ePub is a standard format for publishing books to devices and allows the user to format the text in the best way for their device while taking advantage of images and embedded multimedia like movies. iBrochures are based on the popular Adobe PDF technology but allow it to be augmented with embedded videos, 3D objects and virtual panoramas. Lemon Productions offer a design service and can produce finished artwork ready for press. 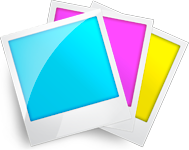 We can print proof documents up to A3 or short runs of documents. We have built connections and working relationships with a number of excellent print companies and are able to find a print service that will produce a great finished product at an appropriate price for the client. We can work with our contacts to get designs printed, or release finished artwork to clients to take to their preferred print service. We can guarantee that using our recommended print services will give a fantastic finished result whether the artwork is printed digitally or with a lithographic press. 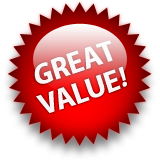 Lemon Productions are proud to offer competitive rates on all web design. Please contact us to get a free quote with no obligation. Estimated prices based on all copy, logos and graphics being supplied by the client. All site packages include one set of changes by the client. Additional alterations after this will be charged on an hourly basis. Time estimates are based on all content being promptly supplied by the client and do not include additional time needed to make any further alterations. Prices quoted are for ARTWORK ONLY. Additional printing costs will apply, and will depend on quantity of items required. quality of print, size, etc.